Topical BioMedics, Inc will feature their full line of patented, popular products and will launch their new-to-market Topricin Sports Cream to national and international buyers at the largest board sports and beach/resort lifestyle trade show in the world January 14-16, 2016 in Orlando, Florida. Your one-stop marketplace for sun, sport, and travel pain relief. Traveling or Cruising? Sunbathing? Surfing or Swimming? From swollen feet to burnt skin to all-over aches and pains, healing the damage causing the pain is a claim only found with Topricin and MyPainAway Creams and why they are listed as must-have-products to have on-hand for any trip you take, so any pain can be healed away. Relax and enjoy the sun and fun - Pain-Free. If pain does call, put it on the Do Not Call List with Topricin. 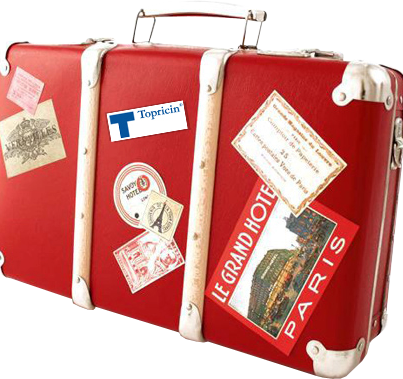 Topricin and MyPainAway products are so popular for travel, the company decided to showcase them at the largest surfing, cruise, and resort industry tradeshow in the world. Surf Expo will be held at Orange County Convention Center, Florida, January 14-16, 9am EST – 6pm EST. This event attracts buyers from every specialty store across the U.S., the Caribbean, Central and South America and around the world. Surf Expo features approximately 2,600 booths of sun and fun apparel…participants receive goodies and can participate in a full line-up of special events, including fashion shows, annual awards ceremonies, and lots of product demonstrations. This is the industry’s premier event with a turnout exceeding 26,000 attendees including major retailers, select exhibitors and a huge media presence per show. Topricin Pain Relief and Healing creams will feature a variety of their celebrated flagship travel products: a 3/4oz Travel Size of Topricin; their MyPainAway product line extension After-Burn Cream; and the company is excited to announce the launch date of their new-to-market MyPainAway Sports Cream powered by Topricin. And for those aching feet, a new 3/4oz. size of the award-winning Topricin Foot Pain Relief Cream, a carry-with-you-size for all airline and cruise ship security requirements. Why Topricin pain cream for Travel and what makes it different? Topricin Foot Cream, as an example, contains not one but a combination of 14-natural biomedicines that when applied to legs, ankles and feet quickly treat or prevent swelling and pain. It works by treating the skin first then stimulates the draining of toxins and fluid pressure off micro-circulation, restoring oxygen-rich blood flow back into the cells - maximizing the body’s desire to heal the cells causing the pain! The products are odorless, moisturizing and safe to use for every family member, prior to flight or cruise, during the trip, and after. Massage onto the feet, ankles and calf muscles until it is absorbed, the ache is gone and your skin…silky smooth. What the Industry says about Topricin Products? http://www.Examiner.com : "Traveling is tough on the body and can be particularly hard on your feet. From running through the airport to catching a flight to taking one tour after another, feet get quite the workout. This can result in aches and pains that can even ruin an experience. For this reason, consider packing Topricin Foot Therapy Cream." Why Topricin for Sports...especially Surfing? Global Odyssi Surfers selected Topricin for their Surfers’ First Aid Kits because, “It's a homeopathic magic cream for the treatment of numerous sports injuries such as muscle pain, impact injuries, dislocations and other trauma injuries to the joints and muscles...” - Global Odyssi. Why MyPainAway After-Burn for Sunburn? 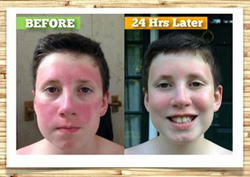 Aloe is great to sooth a burn but After Burn cream offers a vibrant new pain relief option for those suffering with sunburn, windburn and other minor burns, by healing UV damaged cells in and under the skin, preventing blisters and scarring. It also helps to reduce existing scars through an enzyme action of the cream. Play outdoors, worry-free! http://www.Amazon.com 5 Stars: ""I keep one at home and one in my travel bag for sun burns etc. We have used many other natural products including high quality aloe vera, but nothing compares to this!..." - Amazon Customer. Topricin and MyPainAway at Orlando’s Surf Expo - your one-stop for sun, sport and Pain Free Travel. About Topical BioMedics: Topical BioMedics is a research and development leader in topical patented healing technologies for pain relief. The company’s flagship product, Topricin® Pain Relief and Healing Cream, was introduced in 1994 and is now a leading natural therapeutic brand. The products contain a select formulation of 11-14 natural biomedicines, awarded patents for the treatment of pain associated with neuropathy (diabetic and chemo-induced) and fibromyalgia. Topricin products are mandatory treatment protocol at world renowned medical centers, and are known to reduce dependency for all classes of oral pain pills including opioids. This natural healing product line also includes Topricin Foot Therapy Cream, specially formulated to treat painful foot and ankle issues and conditions, and Topricin for Children, which received the Parent-Tested, Parent-Approved, Seal of Approval (with 5% of sales are donated to a pediatric cancer foundation). The company launched the MyPainAway® (powered by Topricin) line of products. Its two new formulas MyPainAway Fibro Cream and MyPainAway After-Burn Cream—will include a Sports product in 2016. Topical BioMedics launched a free monthly pain management webinar in February 2015. Featuring Lou Paradise, president, chief of research, and pain management expert, the webinars are streamed live the second Tuesday of each month from 12pm to 1pm then archived on the company’s WordPress blog for on-demand access 24/7. 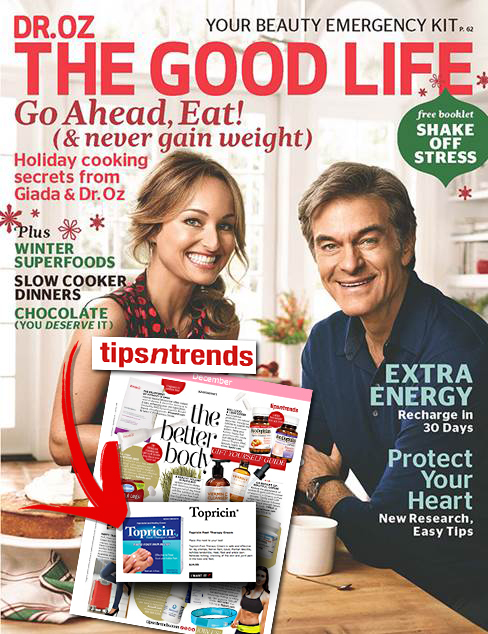 Topricin is available in independent pharmacies, natural food and co-op stores nationwide, including Whole Foods, Sprouts, Pharmaca, The Vitamin Shoppe, Fred Meyer, Wegmans, CVS, Walgreens (Diabetic Section), and other fine retailers, as well as directly from the company. About Global Odyssi: http://www.globalodyssi.com Global Odyssi was started before a surf trip to Bali, Indonesia in April 2010. While Searching for a first aid kit geared towards surfers, Global Odyssi’s founders discovered that a kit like this is hard to come by. Realizing the time, energy and money it took to create a custom first aid kit, the folks at Global Odyssi discovered the need for an “out of the box and ready” first aid kit, specifically designed for surfers. After researching first aid supplies, procedures, surf climates and terrain, and consulting physicians, the Global Odyssi Surfers First Aid Kit was built. 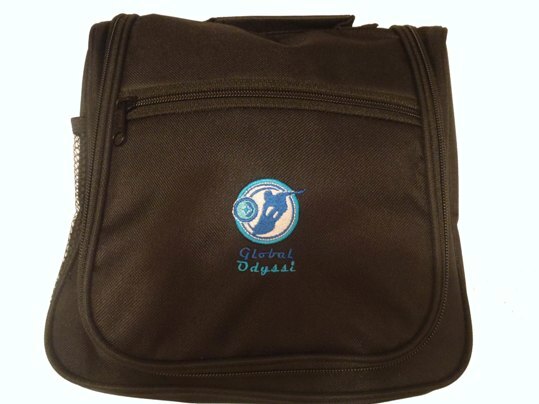 The Global Odyssi Surfers First Aid Kit is designed specifically for surfers by surfers. Our kit features the highest quality first aid supplies and a comprehensive surfer’s first aid handbook that will be sure to keep you safe on your next surf trip or home break. From dehydration to reef cuts, this first aid kit has you covered. Don’t let injury or sickness keep you out of the water. About Surf Expo: For the past five years Surf Expo has been ranked among the fastest growing trade shows in the U.S. for attendance. The business-focused marketplace attracts buyers from all over the world. Surf Expo’s total buyer attendance represents over $2 billion is buying power. Average attendance exceeds 26,500 including buyers, exhibitors and media. The top four reasons buyers come to Surf Expo are to see new products, find new suppliers, keep up to date with trends and see existing suppliers.